i5, Dynamic Microphone from Audix. sw80's review"great with wood instruments"
The Audix Limited Edition Silver i5 is the same as the original Audix i5. I have used both models and they are exactly the same, the only difference is that this Audix Limited Edition i5 is silver and the other Audix i5 was black. 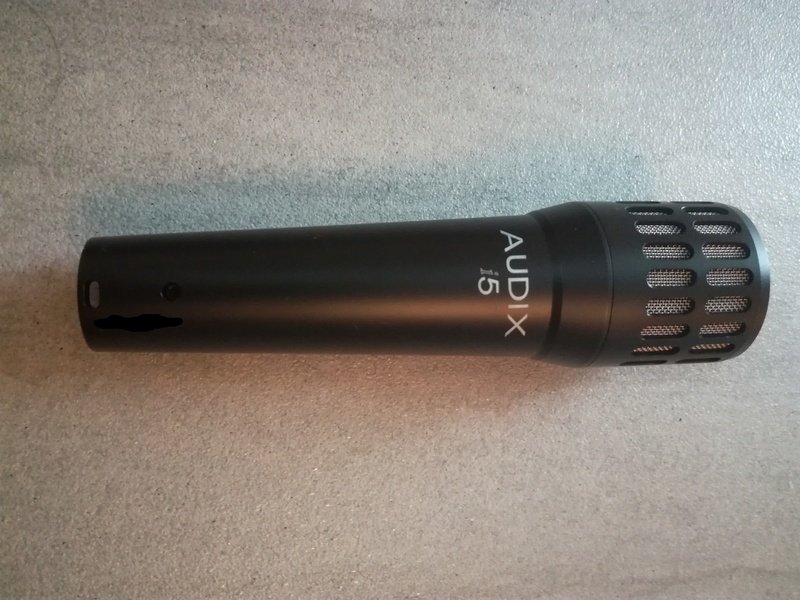 The Audix Limited Edition i5 is a dynamic microphone that is made for recording instruments and not vocals. It is one of the most affordable instrument microphones that have been released in the last year and it is one of the only ones that are actually worth purchasing. I play the saxophone from time to time and I was looking for a instrument microphone that could be dedicated to just recording my saxophone. I found a bunch of different microphones and even when to the store and tested some. The only issue was most of them were out of my price range. The Audix Limited Edition i5 was a perfect fit for me because it was only 100 dollars. I was not sure how it was going to sound at first but for 100 dollars it was worth a shot. The Audix Limited Edition i5 has a frequency response of 50Hz-16 kHz and an impedence of 150 oHms. You can use th Audix Limited Edition i5 for studio records and for live shows although I would stay away from using it for live shows because it tends to pick every single noise up around it. The Audix Limited Edition i5 itself feels good and seems well built to be a 100 dollar microphone. I have only been using this microphone for 4 months now and if it holds up good I will purchase another one. It comes with a stand holder and a soft case to carry it in. This microphone is at its’ best when used with wind instruments. I don’t think it sounded as good with guitars. The Audix i5 was used in a studio that is on the other side of town that I go to a few times each month. It is an instrument mic and I must say it sounds great. It sounded so go it made me come home and look it up online and I was surprised that I actually didn’t cost as much as I though it would. This instrument mic seems to be way better than a lot of the other ones that I have used and even better than some Shure Mics that are suppose to be the best on the market for instruments. You get a very natural and clear tone when recording with it you wont have to boost anything gin the eq part because it pretty much already does that for you. Now most people would purchase this for a home set up they would get the shure mic but this is no where close to comparing too it. The Audix i5 is in a class of its own and can compete with mics that are almost twice its price. I myself will probably never purchase this mic but I get to use it a lot at the studio I just don’t do any live recordings here at home and don’t have room to do any. So its best that it stays in the main studio. But if I do every need a mic that for instruments this would be the one that I would buy. It is one of the best that I have heard hands down and I expect more people to start purchasing it. I actually havent even really heard of Audix too much until I looked up this mic. So apparently they are still under the radar. You will have to purchase this mic if you need a instrument mic, there really isn’t an alternative. 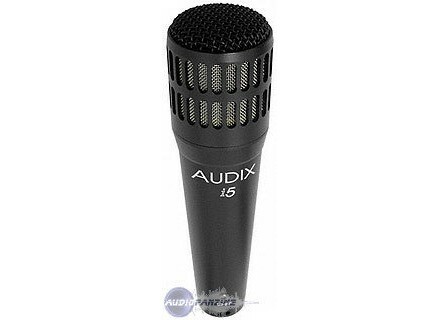 The Audix i5 is a microphone that is becoming more and more popular among the internet's audio gear forum lurkers. 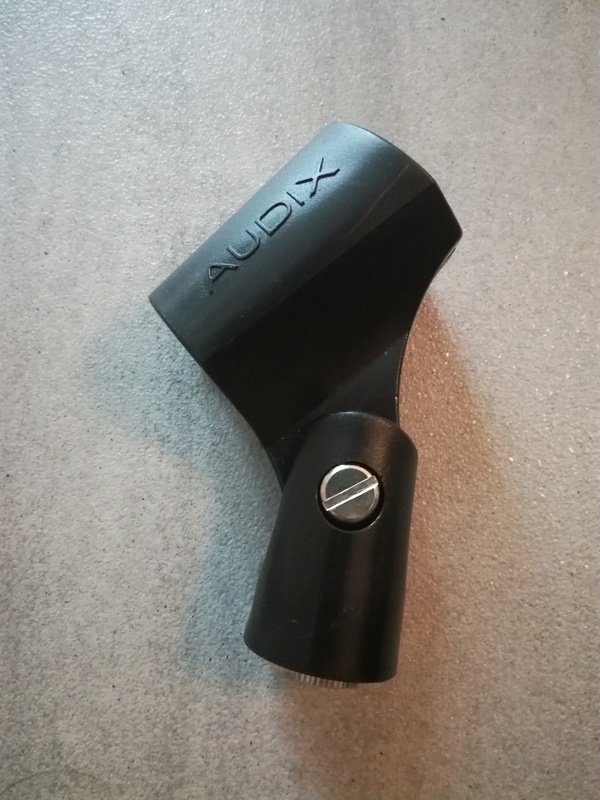 The reason for this is that when Audix came out with the microphone, Audix was essentially going straight for the throat of the Shure SM57's market. And while many people prefer the Shure SM57 to the Audix i5, there are a great number of engineers and musicians who by far prefer the sound of the Audix i5 to Shure's famously ubiquitous microphone. The Audix i5 is an instrument microphone, obviously. It boasts a frequency response with slightly more high end extension than the Shure SM57; the SM57 only goes up to 15,000 Hz, but the Audix's range goes from 50 Hz to 16,000 Hz. It can handle high SPL's, up to about 140 dB, and has a typical cardioid pattern generally found on instrument microphones. 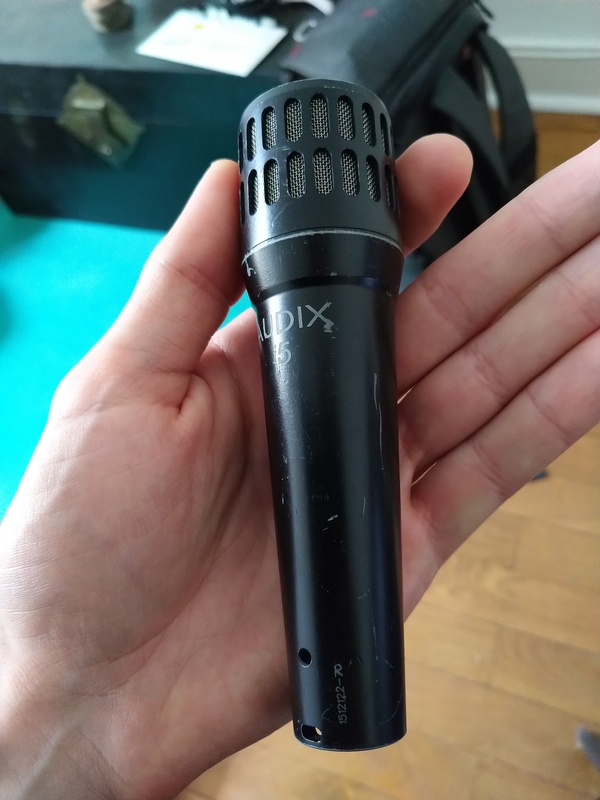 In use, I have found the Audix i5, from a personal standpoint, to completely slaughter the SM57 when it comes to live sound, and occasionally for recording. With live sound, the Audix i5's are crisper and more confident sounding. It is not that the Shure mic is not confident sounding, after all, it does boast a meaty midrange. The Audix, however, has this zing to it that cannot properly be described. Consider that both microphones are beloved by people who look for different things. For example, the Audix with its zing lends itself to more modern sounding things, while the SM57 has that classic sound that we have come to associate with it simply because that classic sound we learned came from the 57 in the first place. Both microphones are great, and these are just sweeping generalizations, but I preferred the Audix for what I was doing, and you should try them out before you jump on a bandwagon. I really liked the sound of the Audix i5 for the short time that I've had the chance to use it. I don't own the mic but my good friend who I play with often has one for recording and shows and brought it to a recent gig where we used it as a vocal mic. 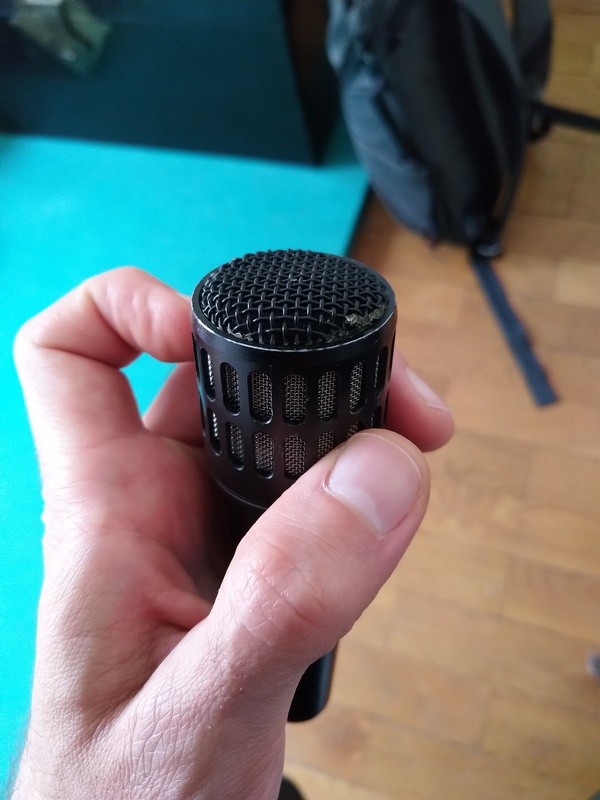 While I don't know that I preferred the sound of it to the Shure Beta 58 that we were also using, it still has a very accurate sound and is a nice mic in it's own right. The mic is probably more versatile than the 58 as it's also advertised as an instrument microphone, although the Shure 57 is virtually the same microphone and has all the versatility that the i5 has. The sound of the i5 came in pretty crystal clear for vocals and I would imagine that this clear image translate pretty well for other instruments like drums and guitars as well. In the studio I don't know if I'd use it for too many other applications, but I've yet to be able to follow this practice. It's about the same price as the Shure SM57 or SM58, so it really just depends on what you're looking for. If you need strictly a vocal mic, I'd recommend the 58, but for something a bit more all purpose, the Audix i5 should absolutely be on the list of mics to check out. To celebrate its 25th anniversary, the company is offering a Limited Edition Silver i5 mic.